CANCUN, Mexico – At least eight people were killed when molotov cocktails were thrown into a bar in the Mexican town of Cancun, a resort area popular with U.S. tourists, officials said. “The death of eight people is confirmed. Six on site — including four women — and two others in hospital, also women,” Quintana Roo prosecutor Francisco Alor Quezada told AFP by telephone. According to witnesses, six men threw the molotov cocktails at the establishment which had reported two attempts at extortion, apparently by the Zeta drug cartel. CANCUN, Mexico (AFP) – At least eight people were killed when molotov cocktails were thrown into a bar in the Mexican town of Cancun, a resort area popular with US tourists, officials said Tuesday. “The death of eight people is confirmed. Six on site — including four women — and two others in hospital, also women,” prosecutor Francisco Alor Quezada, from the southeastern state of Quintana Roo, told AFP by telephone. According to witnesses, six men threw the molotov cocktails at the establishment which had reported two attempts at extortion, apparently by the Zetas drug cartel. 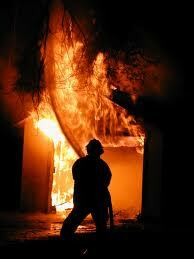 The attack set off a fire which destroyed the bar, in a residential area not frequented by tourists, officials said. 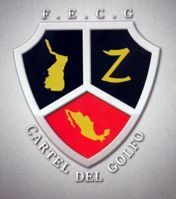 The brutal Zetas, first set up by former paramilitaries in the 1990s, have grown in force since splitting off from the powerful Gulf gang, whom they are now fighting for control of drug trafficking routes. They are suspected in last week’s massacre of 72 migrants in northeast Mexico and many kidnapping, killing and extortion cases. Cancun has seen sporadic attacks and gruesome discoveries of bodies in wells and graves as violence has escalated since President Felipe Calderon deployed tens of thousands of soldiers to take on organized crime gangs in 2006. More than 28,000 have died in drug-related violence nationwide since then, according to official figures.